What types of insurance does our market organization need? Where should we get it? Liability insurance, often called slip and fall insurance, protects your market in case a customer experiences an injury during market hours. Many markets have this insurance and many property owners will require this of a farmers market if you do not own the property. 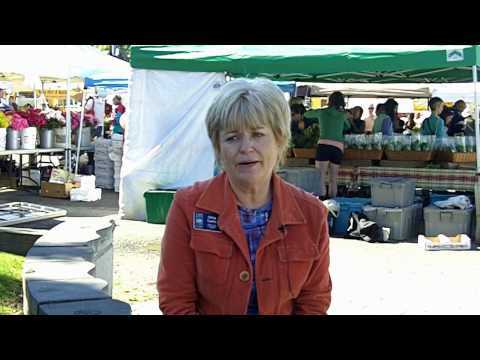 Many farmers markets also require their vendors to have their own liability policies. Take a look at FMC’s Farmers Market Insurance Tip Sheet, and watch FMC’s webinar Making the Most of Your Market Insurance Policy and Minimizing Market Liability Risk. As an added assurance, a market should also establish a “Hold Harmless” clause in their market policies in which vendors sign an agreement that they will not hold the market liable for any loss, damages, liability, claims, suits, costs, and expenses they incur related to their involvement in the market. Here is an example of Galway Farmers Market’s Hold Harmless Agreement. Product Liability insurance protects the insured if a customer gets sick from a product they purchased at the farmers market. Some markets only require this of vendors who sell value-added, meat, or dairy products while other markets require that all vendors have product liability insurance. Some markets even have their own product liability policies that cover their cooking demonstrations and tastings at the market. FMC has worked with Campbell Risk Management to negotiate special rates for product liability coverage for its producer members; you can learn more at FMC Explores Farmers Market Insurance Options, and see how Washington State Farmers Market Association explains Liability coverage in the Insurance section of its web site. If the farmers market owns the property on which the market is located or has any property, you should consider property insurance to protect you from any damages. Chances are, if someone sues the market for an injury or illness, they are going to sue all parties involved, including the vendor, the market, and the property owner. Because of this unpleasant prospect, many markets ask their vendors to list them as “additional insured” on a vendor’s liability policy covering the market. The Understanding Liability Insurance Section of the Farmers’ Market Federation of New York’s Farmers Market Manager Training Manual explains this concept well. If the market is incorporated as a nonprofit, you may want to consider Directors and Officers Liability insurance to protect your board of directors in the event of a lawsuit. Even though nonprofits don’t have shareholders, they can still be sued by members, donors, current and former staff, government agencies, or individual board members. Learn more about the D&O Policy made available to FMC members through Campbell Risk Management here. Markets that hire employees will have to look into worker compensation and unemployment insurance. Check with the laws specific to your state for more information. Zachary Lyons from the Seattle Farmers Market Association notes that it is a good idea to think about incorporating your market organization such as through an LLC, corporation, or nonprofit as it can help protect the individual staffers, volunteers, and board members from liability if the market itself gets sued. He explains that, “in essence, the act of incorporation is like another level of insurance protection.” If you are considering incorporation, be sure to be familiar with incorporation laws pertaining to your state. Where should we get insurance? A private insurance agency will be able to offer these types of insurance policies for your market, but first, check to see if your state’s Farmers Market Association offers a policy or suite of policies for their members at a special group policy rate. In addition, your local department of agriculture or farm bureau may have a group rate. As purchasing insurance can be a large expense, make sure you fully understand what is included in the policy and be sure to shop around for the best price before purchasing. FMC has worked with Campbell Risk Management to make affordable farmers market specific market liability, producer liability, and Directors and Officers Insurance policies available to its members. While insurance is very important to protect your market and your vendors from a lawsuit in case something happens, do not forget about prevention! It is important to take the necessary steps to ensure safety at your market so you won’t have to use your insurance policies. Take a look at the FAQ Are there certain things that we can do to reduce the likelihood of someone getting hurt or sick at our market?, below. What types of insurance should our market’s vendors have? Many farmers markets require their vendors have liability insurance. Liability insurance will protect the vendor in case a market customer experiences bodily injury or property damage and wants to hold the vendor responsible for the incident. Some farmers markets also require their vendors to list the farmers market and the municipality that the market operates at as an “additional insured” on their policy. This ensures that they are also covered in case an individual sues the vendor. Watch the FMC webinar Producer Liability: Understanding & Communicating Vendors’ Risks and Insurance Needs, and the Understanding Liability Insurance Section of the Farmers’ Market Federation of New York’s Farmers Market Manager Training Manual for more information. It’s also recommended that a market require product liability insurance coverage from their producers, such that they are protected if someone gets sick from consuming their product. To alleviate the cost of obtaining insurance, producers who are members of the Farmers Market Coalition (FMC) have the opportunity to access a group General and Product Liability Policy through Campbell Risk Management. How do we ensure our vendors have adequate insurance? One way of ensuring that your vendors have the proper insurance is for you to require proof of insurance as part of their application and registration for the market. If you require your vendors to list you as an additional insured, the insurance company will notify you 60 days before the policy expires and 30 days before the policy would be cancelled due to nonpayment, therefore it is important for market managers to follow up and ensure that vendors’ policies are current. While some markets require proof of insurance from their vendors, others state the required insurance in their market rules and require vendors to sign an agreement that that they will comply with all rules and regulations, using this as their way of checking, leaving the responsibility up to the vendor to comply. Are there certain things that we can do to reduce the likelihood of someone getting hurt or sick at our market? There are many things your market can do to prevent your customers from getting hurt or sick at the market. Taking precautions when it comes to safety upholds the integrity of your market, which can lead to ongoing success. Develop a Farmers Market Safety Checklist. Check out the example in the University of California Small Farm Program’s Guide to Managing Risk and Liability at California Certified Farmers Markets or look to the Risk Management Section of the Washington State Farmers Market Manual for more information. Use signs, cones, or ropes to make sure market traffic flows in the right direction and prevents customers from going into areas where they might get hurt. Make sure your vendors practice canopy safety. Take a look at Washington State Farmers Market Association’s Canopy Safety 101. Document any actions taken to enforce your safety rules with your vendors to show that you took proper action to prevent injuries. While the federal government does not currently mandate food safety regulations at the farm-level, the Food and Drug Administration has issued guidance on food safety, which spurred the development of Good Agricultural Practices (GAPs). GAPs provide a list of recommended protocols that can be implemented at the farm level to ensure food safety. As GAPs vary by the type of farming operation and the commodities that are produced, they are not one-size fits all procedures and may not work for small farms or farmers markets. Nevertheless, it is still important for farmers market growers to start thinking about food safety plans and training. Take a look at the article, Filling the Food Safety GAPs in the Farmers Market Coalition’s Newsletter for more discussion of this issue or take a look at FMC’s Information Marketplace Webinar Food Safety First: GAPs and Food Safety Issues at Farmers Markets. For more information on GAPs, check out Cornell University’s National GAPs Program. Lastly, food must be handled, displayed, and stored properly at the market. It is also important to follow guidelines for cooking demonstrations and sampling products. You may also want to make sure vendors are following labeling guidelines and labeling products that contain one of the eight major food allergens (eggs, wheat, finfish, shellfish, peanuts, tree nuts, milk products or soy). Check with your local health department for specific guidelines on these topics, and be sure to check out Market Umbrella’s From Field to the Table: Suggested Food Handling Guidelines for Farmers Markets, Fairs, and Festivals. What licenses and permits do we need to obtain and renew? A license to sell potentially hazardous foods such as cut melon, raw seed sprouts, garlic in oil mixtures, cooked plant food, and raw or uncooked meat. State or local sales tax permits for selling flowers, crafts, or ready to eat foods (these may or may not be the sole responsibility of the vendor). Your vendors will also be required to have various permits based on the types of products they sell. Make sure to be familiar with what is required of them, communicate this to vendors when they apply, and keep copies of their permits on file. Do not forget that the permits that your market or vendors will need will vary based on state and local regulations so be sure to be in contact with state and local departments of agriculture and health and your local government. To get an idea of some of the permits that may be required take a look at the Farmers’ Market Federation of New York’s Market Manager’s Checklist: Permits/Licenses/Certificates Required for Farmers Market Sellers and consider creating a checklist like this for your market. For more information on what permits the market might need, take a look at these resources in the resource library. Can copyrighted music be played at our market? While copyrighted music can certainly be played at the market, you will need the permission of the copywriter to perform copyrighted music. Don’t worry, you don’t need to track down the copywriter of each copyrighted song performed at the market. You just have to apply for a license through at least one of the major music licensing organizations which protect the performance rights of its members by distributing royalty fees for public performances of their copyrighted music, described in the Better Business Bureau’s Introduction to Music Copyright Law. The American Society of Composers, Authors, and Publishers (ASCAP) is the largest and the one most likely to contact a farmers market requesting a licensing fee. To understand more about music copyright in the farmers market context, read a 2012 letter to FMC members about copyright liability. The responsibility of obtaining the license is that of the market and not the musician who is playing the music, as ASCAP states in their Frequently Asked Questions: “Some people mistakenly assume that musicians and entertainers must obtain licenses to perform copyrighted music or that businesses where music is performed can shift their responsibility to musicians or entertainers. The law says all who participate in, or are responsible for, performances of music are legally responsible. Since it is the business owner who obtains the ultimate benefit from the performance, it is the business owner who obtains the license. Music license fees are one of the many costs of doing business.” For more explanation on how this pertains to farmers markets, take a look at the letter Hillsboro Farmers Market in Oregon received from ASCAP in 2010. As of 2013, FMC is still in negotiations with ASCAP and BMI about a potential special rate for FMC member markets. During these negotiations, ASCAP will waive any fees for FMC member markets. If you have any questions or would like to obtain a license, contact your local ASCAP representative. To skip the introduction in any of the videos, drag the slider at the bottom to :45 seconds.